I have never been one to negotiate; I have always been terrified of it whether for my job or in interpersonal situations. 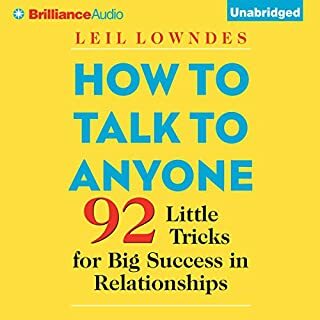 This book helped me unearth not only new ways for me to build confidence but also has some incredible negotiation techniques and tips that I had never imagined I would encounter. Worth EVERY penny. I would recommend to you, but I don't want you to know what I now know in case I ever face you. ;) Oh, and outstanding work by the narrator. Kept me engaged the whole time. I couldn't stop listening! A Must (and fun...) Listen on Human Interaction! Really enjoyed this extremely entertaining listen on effective negotiation tactics and human behavior patterns. The content is highly applicable to numerous types of human interaction. I hardly ever read sales books because so much is either outdated or the same. 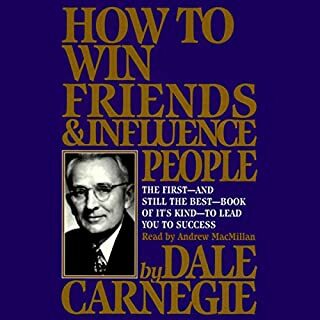 I’ve found this book to have profound implications applied to selling that certainly act contrary to the “Client is Always Right” garbage that may have worked in the 1980's. This will help you cut through the crap (of any interaction) and ripen conditions for a true win/win to occur. It’s helped me to identify the type of people I truly enjoy working with and helped me to effectively leave the table on those who may not be a good fit. It’ll help you save time through identifying the true motives and negotiation style of the other party. 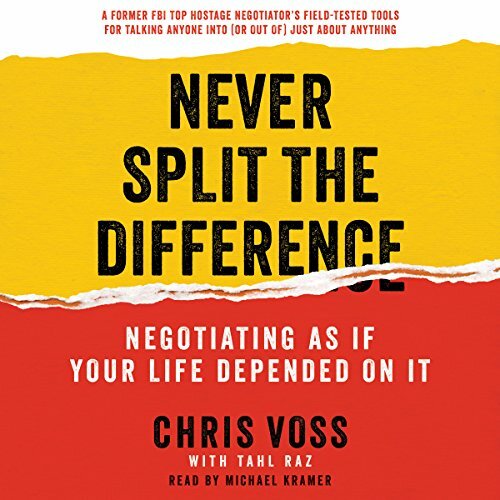 Chris Voss does an exceptional job of translating extreme life or death scenarios into useful business tools. I read this book thinking he must be oversimplifying, but as I apply these tactics I’m learning he’s probably just this good. His methods are simple, effective, mostly clean, and far less manipulative than some other negotiation material that has left me wanting to shower after reading. The tools he describes that aren’t necessarily 100% clean, such as mislabeling, he does so in a way that will prevent them from being used on you! Regardless, this book has vast applications and is highly relevant to business today. What did you love best about Never Split the Difference? The book and science is fascinating! I'm listening to it a second time because I believe we pick up or learn what we can on the first time around. I enjoyed the book so much, I purchased the hardcover book to read and take notes. The stories bring the techniques to life. I believe if you are in business, have children you negotiate with or customers/clients....OK, everyone should listen to this knowledgeable, wonderful book and learn from the author. I would love to sit and have lunch with Christ Voss. Accusation List - list the worst things the counterpart could say about you (such as "you probably think I don't spend enough time on this project") and state the goals (such as "I could trust you to do your part without supervision" and "we all want this project to be successful"). Ask questions, collect information, and consider creative ways to get to your goals (such as non-monetary items - amenities, upgrades, positive reviews, and referrals). There is much more in the book that goes through the nuances of what to say, how to say it, and how to behave. It is a book that you need to read slowly, take notes, and practice the tips before moving on to the next chapter. Not many business books have had a profound effect on the way I do business, but this one has changed me and my style of pricing my products and negotiating my services forever. 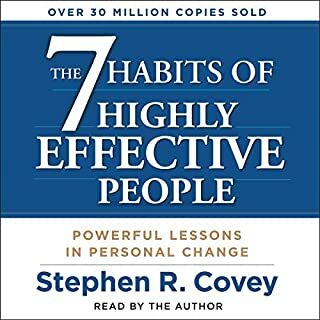 Without making me become heartless, I feel like this book made me think about things differently and that simple paradigm shift has allowed me to make more money right away. I had to negotiate a deal the other day and U did so without anxiety or fear. 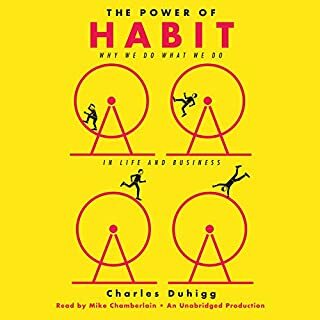 Unlike so many other business books that waste half the book telling you how great the author is or trying to convince you why you should buy into the concept, this book doesn't waste a minute. I plan to listen more than once because I am sure there are things I can understand more fully after another listen. Strong narration by Michael Kramer. ,Amazing content, and more than the title implies, you will learn how to sell, how to negotiate, and how to walk away and feel good about it, knowing that some people just aren't your customers. I learned that meeting people halfway is poison for my business because it turns out that those are really customers who cannot afford to pay my rates in the first place and then later have no respect for what we do because, of course, they didn't pay full price, so why should they? 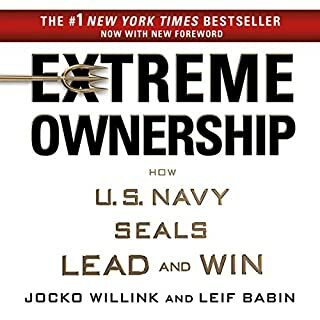 Since reading/listening to this book less than a month ago, I have gotten full price for deals I would have previously discounted out of fear of losing the deal, and have gotten zero push back from the clients. It was like magic. It just took the guts to try it, which was scary because as a small business owner, it's real money I am playing with. But it worked, and I have changed. This isn't something they teach in business school, but they should. I'm not kidding about it being life changing. My new favorite book of all time for non-fiction. Bravo, Chris Voss. I would recommend this book to anyone in commercial real estate. The principles are very easy to follow and implement. Again, kudos to Chris Voss for this great book. There were a TON of useful and potentially game changing nuggets in this book. Very useful insights into understanding how the other side of the table is thinking during a negotiation. 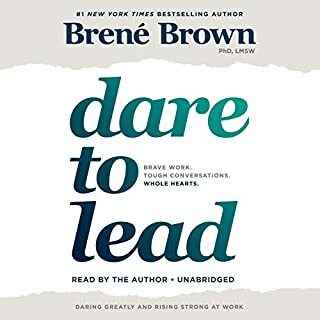 I will definitely be listening to this one again to help digest the content more and may make a habit of listening on a regular basis to help keep me focused in my negotiating practices. Only reason I didn't feel I could give a full 5 stars is that I was really hoping for more business applications. But don't let that stop you this is an incredibly valuable book and the time spent with it is well worth it. Wow, what a difference there is between "That's right" and "You're right". This single epiphany has changed my approach, removed pressure, and given me stronger connections to all my counterparties. Great book! I read it three times over. Do cagey, cunning and manipulative people throw you off so badly you can not communicate with them? Have you been accused of being "gullible" frequently? Have you had an "awakening" with a peer or colleague that shape-shifted into a snake? Oh wait, they always were and you did not notice? Do you always take people at face value? If you answered "yes" to any of these, this book will guide you into corners of your mind and introduce you to tools you did not know you had. Tools for dealing with bullies, serial fabricators and people that have full regard for themselves, and zero regards for others. Yes. After reading this book you should be able to sit down at a table with them and bend their reality. You don't have to permit repugnant or revolting people to win over a situation just because you have a problem occupying the same room with them. If you get frustrated with these types, it is because they can seem "impossible" when they are, only because you think you don't have a toolbox to deal with them. Valuable information for high stakes Mediators, Lobbyists, Legislative Negotiators, Activists, Investors, Artists and the Self Governing. A first aid kit for a corner of your mind.